Angel Kisses glycerin soap is our version of a popular perfume. 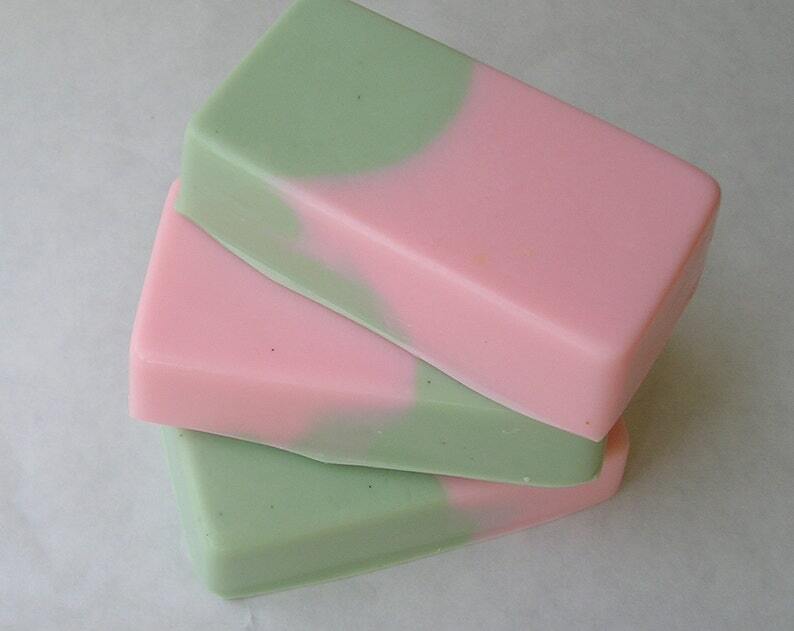 ******* There is a new design for this soap, photos coming soon, still pink and green. This soap has luscious rich top notes of lemon, raspberry, honeydew melon, black currants; with middle notes of jasmine, gardenia, and nutmeg; bottom notes of white chocolate, musk, sandalwood, and patchouli. Smelled delicious! Timely shipping! Thanks! They have so many yummy soaps and this is definitely a great one!